Geneva (AFP) - Polar bears could see their numbers dwindle by nearly a third by mid-century, a top conservation body said Thursday, warning climate change poses the greatest threat to the king of the Arctic. The International Union for the Conservation of Nature (IUCN) said a reassessment of the status of the polar bear in its famous Red List of threatened species confirmed the giant mammal's status as "vulnerable". IUCN said there were currently between 22,000 and 31,000 polar bears globally, but warned their numbers were likely to shrink fast, with the rapid loss of their sea ice habitat due to global warming. "We're expecting more than a 30 percent loss over the coming 35-40 years," Dena Cator of IUCN's Species Survival Commission told AFP. The travails of polar bears, which no longer have as many floating ocean perches from which to hunt seals, has been well documented. IUCN pointed out that if more than five months out of the year are ice-free, the bears are forced to fast for longer, "which is likely to lead to increased reproductive failure and starvation in some areas." This is alarming, as recent studies show Arctic sea ice is disappearing faster than most climate models had predicted. Some parts of the Arctic are now expected to cross the five-month-ice-free threshold by the middle of the century, while the Canadian Arctic archipelago is expected to take until the end of the century to reach that point. "Based on the latest, most robust science, this assessment provides evidence that climate change will continue to seriously threaten polar bear survival in the future," IUCN chief Inger Andersen said in the statement. 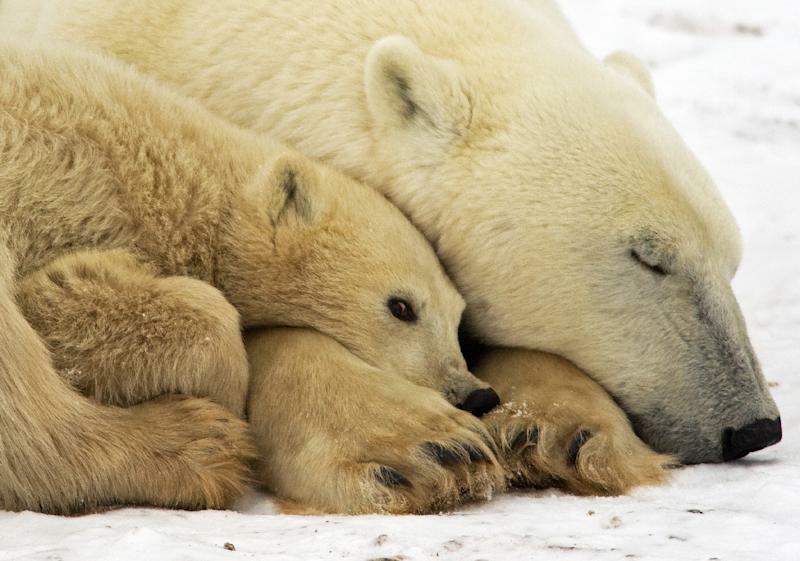 Warming Arctic temperatures could also reduce the habitat and increase the chances of disease among the species polar bears prey on, including ice seals, the organisation warned. Environmentalists said the IUCN findings were not surprising but highlighted the urgency of reining in climate change. Sybille Klenzendorf, a senior biologist in the World Wildlife Fund's species conservation division, appealed for immediate action from the world leaders scheduled to meet for a key UN climate summit in Paris in a few weeks. "We need climate change action in Paris to slow the warming," she told AFP, warning that the polar bear's decline was symbolic of the dangers climate change poses to the planet as a whole. The polar bear, she warned, "is the canary in the coal mine. These changes are coming and we need to act, and hopefully there is still time to change the situation." Klenzendorf and other environmentalists meanwhile stressed that climate change was impacting the world's 19 polar bear populations differently, with those furthest south suffering the most. Bear populations in Canada's western Hudson Bay and Norway's Svalbard archipelago are among those most at risk, according to Magnus Andersen, an expert at the Norwegian Polar Institute. Populations further north are far less vulnerable and are in some cases even benefitting from the changes brought by a warming climate, he told AFP. The thinning and more broken ice creates more biomass, which helps increase the fish stocks, providing more and bigger fish, which in turn fatten and grow populations of seals -- polar bears' favourite meal, he pointed out. 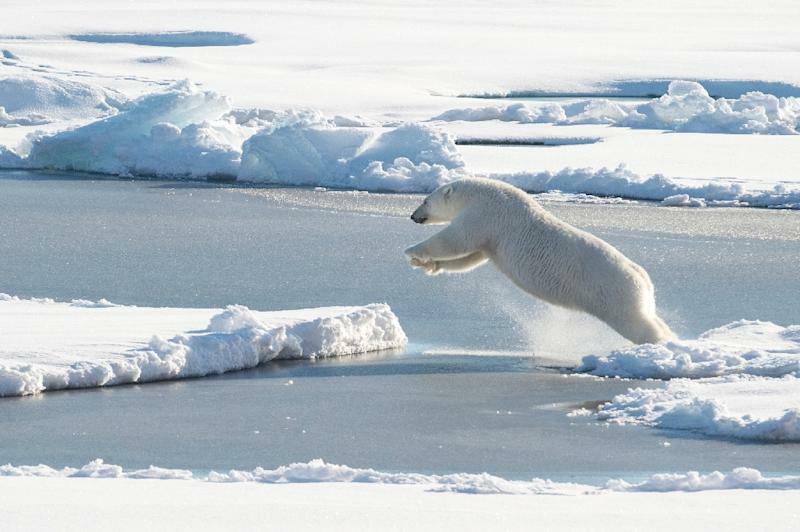 Beyond shrinking sea ice habitats, climate change is also increasing other threats against polar bears. The retreat of the polar ice cap has opened up sea routes through the Arctic and has allowed more resource exploration, thus increasing pollution. IUCN warned that oil development in the region poses numerous threats, ranging from oil spills to increased human-bear interaction. "Whilst sea ice loss is the major threat to polar bears, the full range of current and potential threats must be considered in polar bear management plans," said Dag Vongraven of IUCN's polar bear specialist group. In early September this year, countries bordering the Arctic agreed a 10-year Circumpolar Action Plan for Polar Bears aimed at ensuring the survival of the majestic creatures in the wild. The polar bear is not the only species in trouble. IUCN's updated Red List covers 79,837 assessed species, of which 23,250 are threatened with extinction.